It has since become the #1 Personal Finance book of all time... translated into dozens of languages and sold around the world. 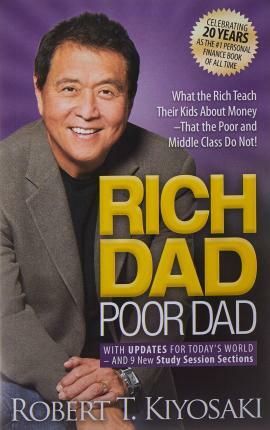 Rich Dad Poor Dad is Robert's story of growing up with two dads -- his real father and the father of his best friend, his rich dad -- and the ways in which both men shaped his thoughts about money and investing. The book explodes the myth that you need to earn a high income to be rich and explains the difference between working for money and having your money work for you.